Niagara County, N.Y. - The Niagara Wine Trail is celebrating National Dairy Month by pairing featured wines with Yancey&apos;s Fancy Artisan Cheeses. The Wine and Cheese Weekend will be held June 14th - 16th, just in time for Father&apos;s Day. This weekend treat Dad to a wide selection of wine and artisan cheese pairings including: Leonard Oakes Estate Winery&apos;s 2010 Red Oaks with Smoked Gouda with Bacon cheese; Schulze Vineyards&apos; Siegfried, Riesling or Niagara wines with Bergenost; and Spring Lake Winery&apos;s Red Zinfandel with Pepperoni Cheddar. Pre-sale tickets may be purchased online for $30/per person thru Thursday, June 13. Remaining tickets will be sold at the wineries for $35/person during the event. Tickets are valid for all three days of the event and include a tasting of 3 wines and a cheese sample at each participating winery, plus a commemorative wine glass from your starting winery. Hours for the event are Friday 12pm-5pm, Saturday 10am-5pm, and Sunday 12pm-5pm. As a reminder, tickets do not include transportation. A valid photo ID with proof of age is also required to participate in wine tasting. Designated drivers are welcome at no charge. 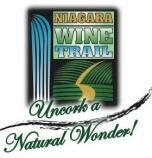 For more information and to purchase tickets visit the Niagara Wine Trail online at http://www.niagarawinetrail.org/.